We added a new chart to our charts library at globalfinance.net/charts. 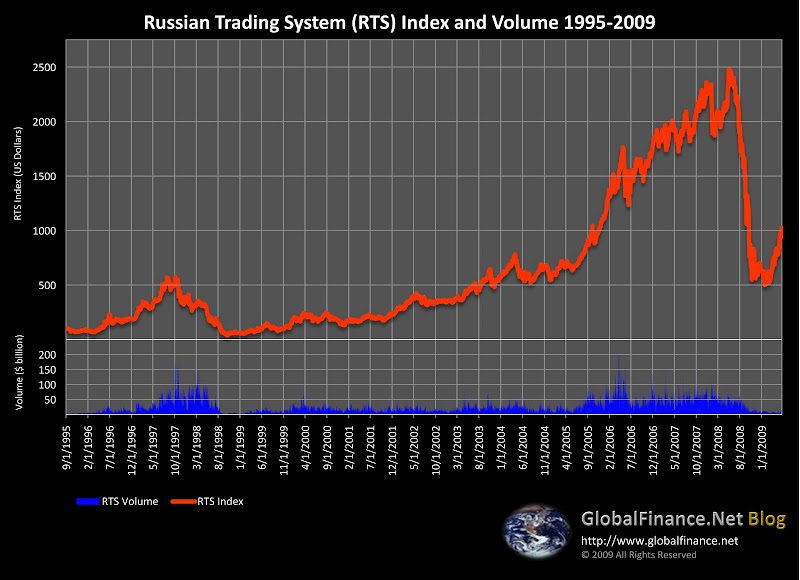 The new chart is of the Russian Trading System (RTS) index of top-50 stocks in Russia. The index dates from 1995 and goes to today. The chart also includes daily volume data for the Russian market. We made this chart as part of an upcoming article we plan to publish about the financial crisis in Russia and what the government has been doing to solve it. However, we thought that our readers might enjoy seeing an interesting chart of Russia before the article comes out. You can find more data on the RTS (in English) at http://www.rts.ru/en/, though the Russian pages are more up to date. The Russian pages are at http://www.rts.ru/. The picture on the top-left is the Church on Blood of All Saints Resplendent in the Russian Land. 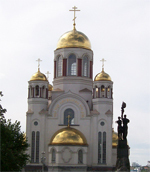 The Church sits on what was once Ipatiev House, where Tsar Nicholas and his family were held hostage and executed by the Bolsheviks in 1918. I’m not trying to say something bad about the markets here, but I thought is was more intetesting that all of the usual Kremlin pictures.